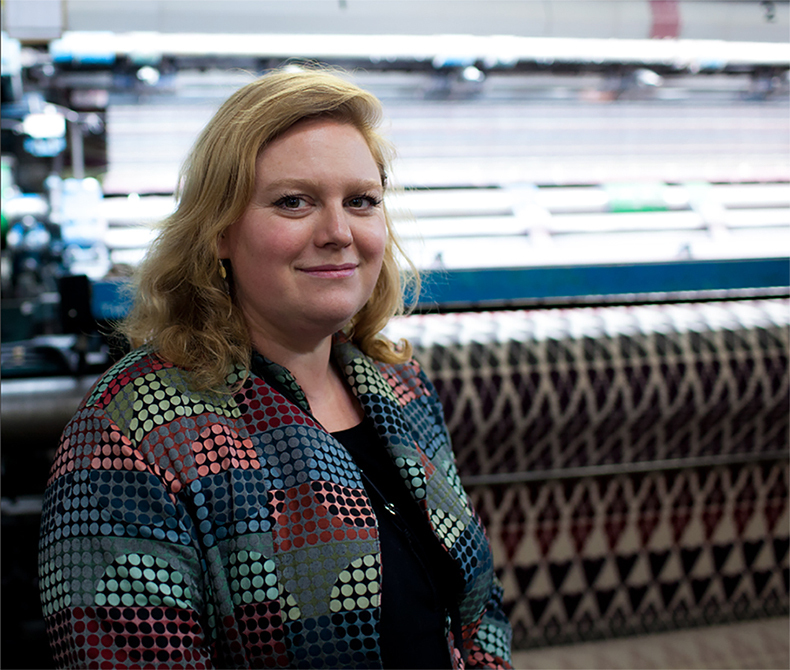 We were thrilled to interview pattern and textile designer Margo Selby as part of our skinflint Meets series. Read on to find out about how Margo started her business, why she rarely wears anything other than black, and which are her favourite skinflint lights. skinflint: Tell us a bit about yourself, your background and how you came to start your own interiors business? Margo: I trained in textile design at Chelsea College of Art and Design and then followed this with a postgraduate degree at The Royal College of Art, graduating in 2001. 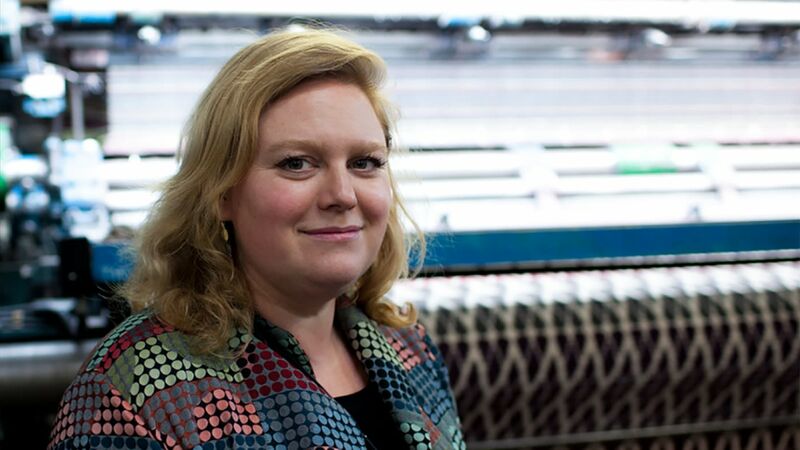 On graduating, I initially worked as a woven textile designer for industrial mills. 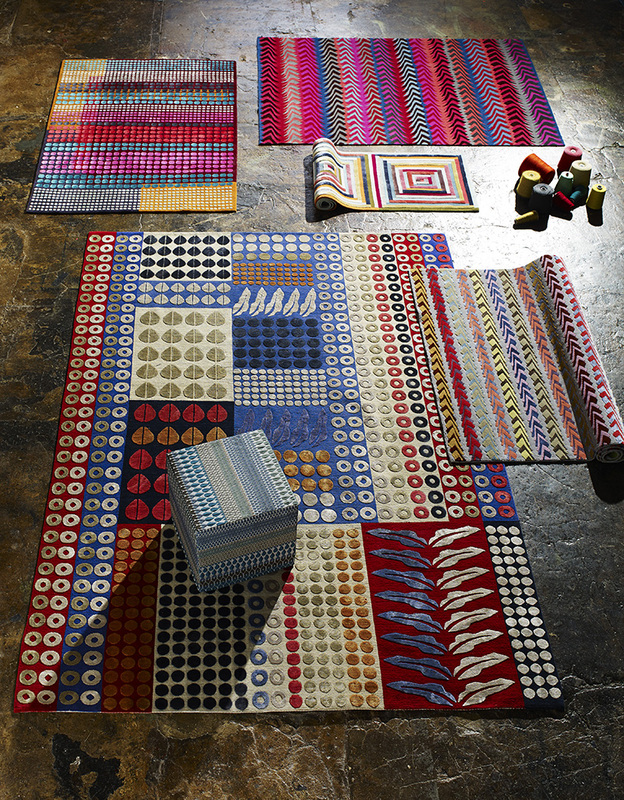 It was during this time that I united my innovative hand-woven constructions with industrial machinery to create the unique 3-dimensional fabrics that were to become the trademark of the Margo Selby Brand. Q: You’re based in Whitstable. Does living and working by the sea influence your designs? I moved to Whitstable when I started having children and wanted to focus on a more work / life balance. I have noticed changes to my work since living here. 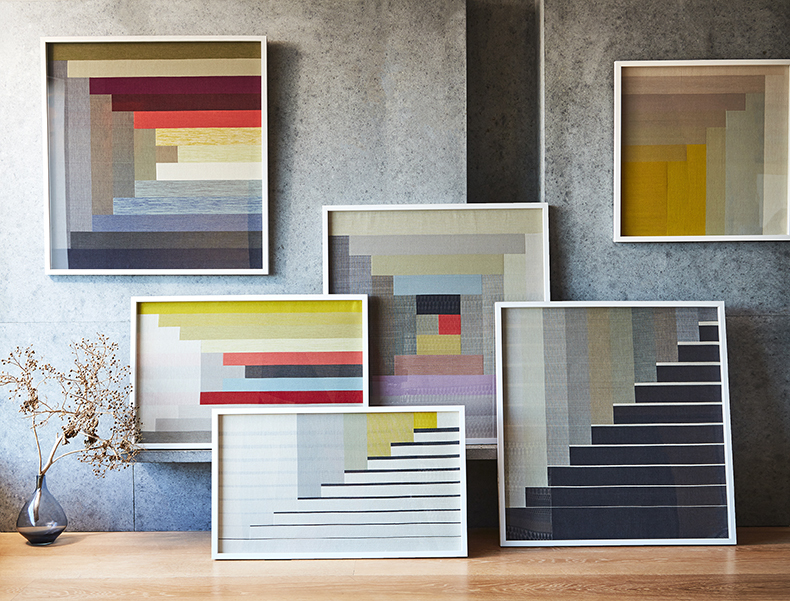 The first change has been more focus on hand-woven artworks. I spend more time on my artistic practice as a weaver than I did when I was based in London and solely focussed on design work. I have also noticed that the designs are simpler and calmer since living in Whitstable which reflects the pace of life and approach to lifestyle. Q: What influences you to come up with new designs? 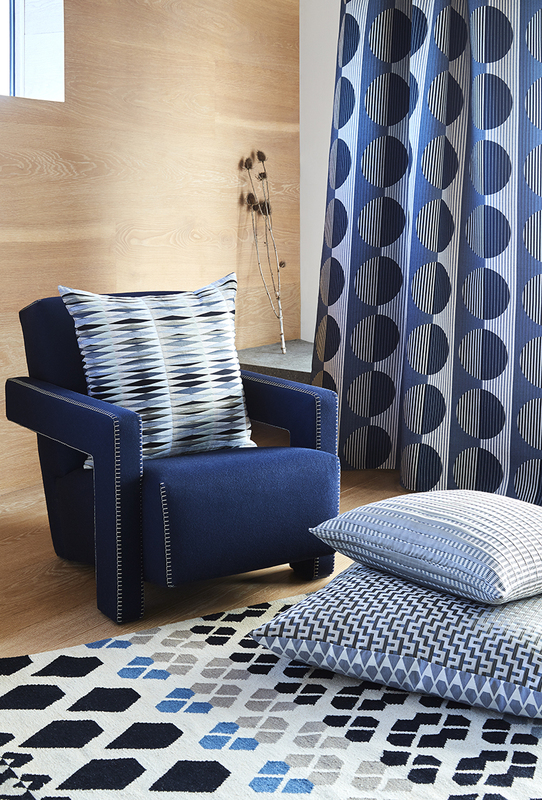 I draw inspiration from lots of different places and I am constantly gathering images and ideas and collating these into cohesive groups, which can then be translated into fabric collections. This includes sources as varied as indigenous textiles, graphic design and architecture. Over time I have realised the importance of keeping things fresh, new and evolving. I have realised how important it is for me to keep hand-weaving since the business has become commercially successful. It’s the feeling of being on a loom that keeps me driven and inspired. Q: Your patterns have been translated onto everything from towels and carpet to jackets and scarves, how do you decide which pattern fits a particular product? My design philosophy is focused on the careful interpretation of my patterns to create exceptional quality products with a design-led feel. This is a regular creative challenge when designing commercial products. Whether a high end bespoke woven cloth or a batch produced volume item, the pattern needs to look right on the product and consider its market. Q: You’ve worked on a number of collaborations with brands such as Farrow & Ball and Habitat? What makes a brand a good fit for you to work with and how has this work been different from your own projects? I have always welcomed collaboration on a wide range of projects. These are opportunities to learn from new perspectives, whilst supporting collaborators to give their brands a new dimension with the use of pattern and textile. Qualities I look for in a collaborative partner include attention to quality in their products, a thoughtful approach to the process and materials and an audience who I feel will be relevant to my work. Q: Can you describe your own style? Do you always wear patterned clothing?! My daughter is exasperated with me as I very often wear black. I like to leave the colour and pattern to my work and I don’t want what I wear or how I present myself to interfere with what I am creating. Q: What’s your home like? Does it feature your own designs? I do have my products in my home as it is a good way to see how the patterns are to live with and this inspires new ideas for the future. The latest additions are some of my hand woven art pieces. Its great to be able to mix this with pieces from other artists and designers and I enjoy collecting painting, ceramics and art from other makers. Some of my favourite pieces in my home are a pair of woven panels by Ptolemy Mann, some colourful woven throws by Wallace Sewell, paintings by Bruce Williams and ceramics by Vicky Hageman. Q: Who do you admire the most in the world of interiors? I love Kit Kemps work, her use of colour and pattern in an eclectic way within a space is exciting as well as her confidence to commission bespoke pieces of art and design on a large scale. Q: What’s the one product you can’t live without (either at home or work or both)? My sketch and note books are invaluable and always with me. They are full of lists, sketches, ideas and plans. I am so pleased to have launched a notebook collection with Mark + Fold who make exquisite hand sewn notebooks and I look forward to using one of these as my next sketchbook. 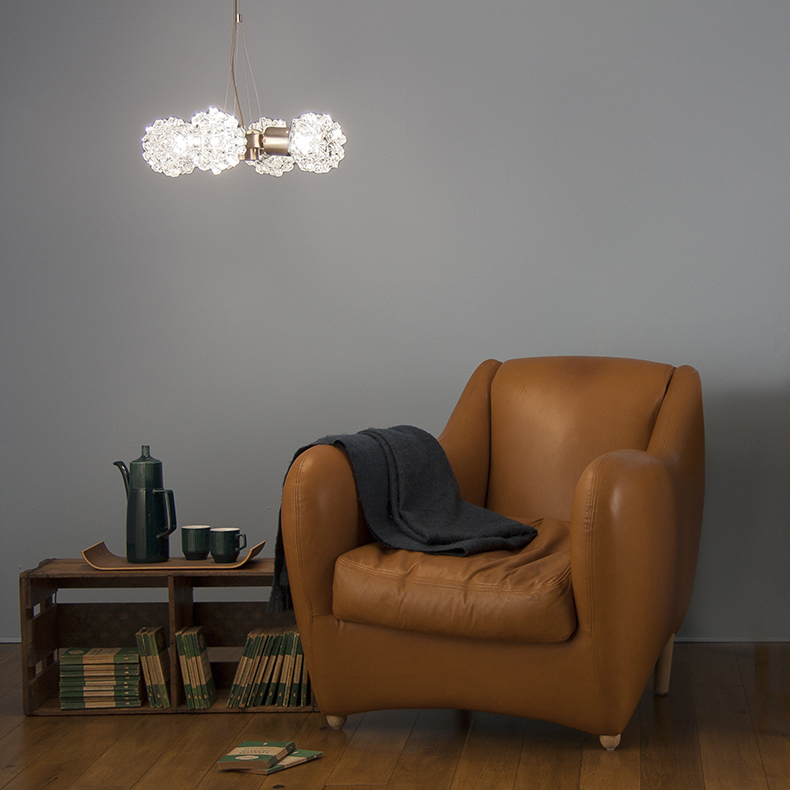 Q: What’s your favourite era with regard to design and interiors? The work of the Bauhaus weavers has always been an inspiration to my design process. Like them, I am equally passionate about creating a piece of weaving which celebrates the beauty of a woven textile as an art form as well as developing ideas in weaving which are suitable for industrial production. 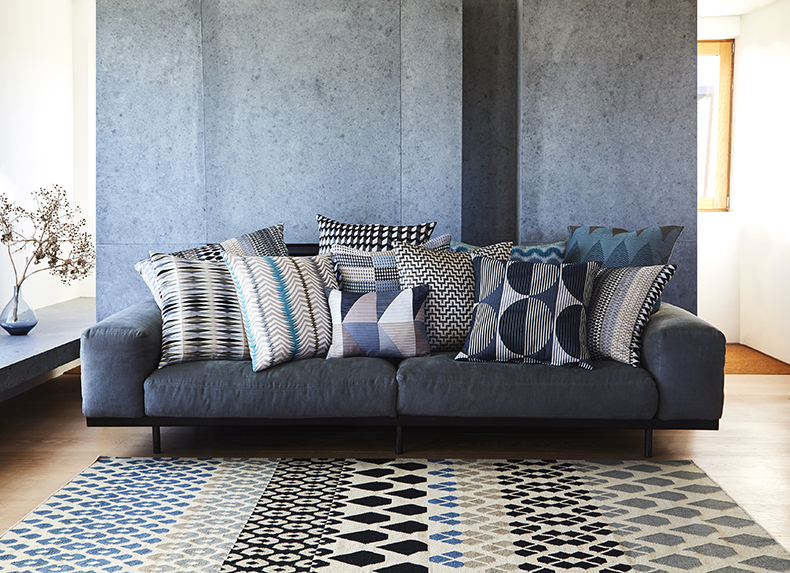 Q: Any hot new and upcoming textile designers we should be aware of? I haven’t seen anything really exciting that’s new in the past couple of years….I expect there is someone around the corner about to wow us all. 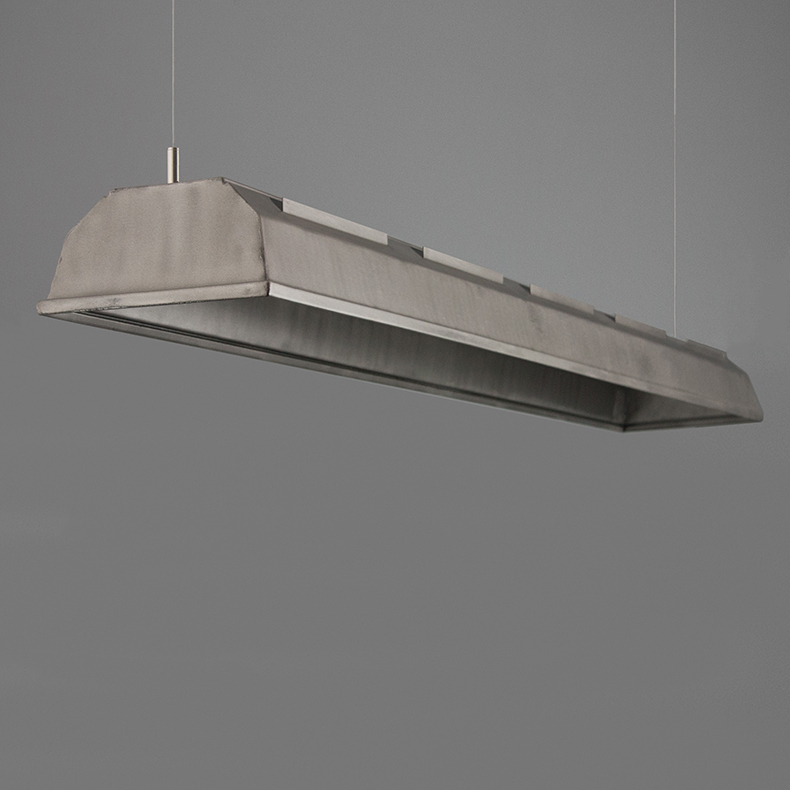 Q: Please choose three of your favourite Skinfint lights and tell us why you like them. I like the quirkiness of these US traffic lights…..Im big into yellow at the moment so I love the idea of using these to add a pop of colour. These Czech chandaliers and wonderfully decorative. I love the glass shades which have a graphic textural surface. 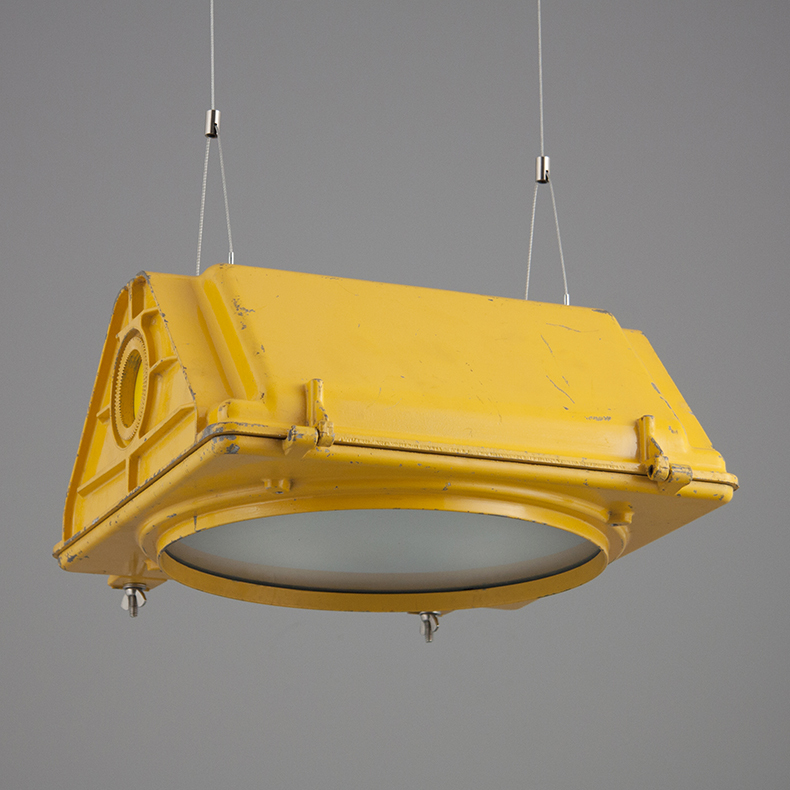 I love the history of this light which has been salvaged from the Stoke potteries.